Olympic gold medalists Simone Biles and Aly Raisman have been enjoying a whirlwind of fun since returning from the Rio games. After presenting at the MTV VMAs, performing on Lip Sync Battle, seeing Hamilton, and making countless other appearances, they headed to fashion’s biggest stage: New York Fashion Week. 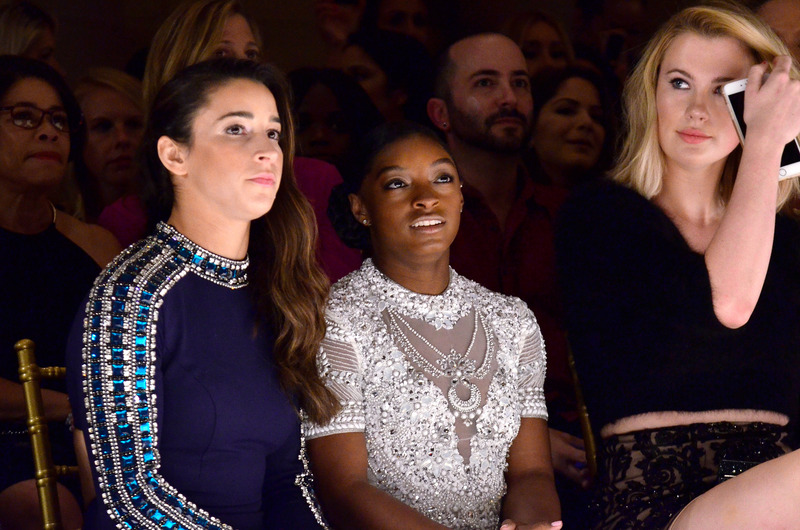 Simone and Aly know a thing or two about looking graceful under pressure, which is what NYFW is all about. They attended the Sherri Hill show together, decorated head to toe in sparkles. These two are seriously #friendshipgoals. They documented the night with a cute video on Instagram. In addition to Sherri Hill, Aly also attended the Jeremy Scott show, and stunned in a funky Judy Jetson-esque crop top. She met the designer at the VMAs, and he extended an invitation on the spot! Aly revealed that Simone did her hair for the show, and she did her own makeup. Perfection! 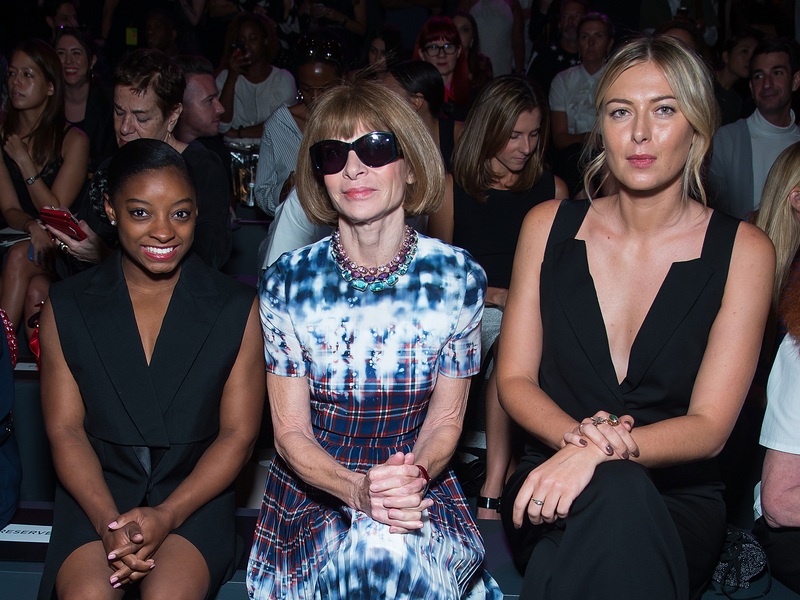 Simone had a busy NYFW too, and even sat in the front row during the Vera Wang show next to Anna Wintour herself. How amazing is the height difference between Simone, Vera Wang, and Maria Sharapova?! Simone also hung out with fellow Olympian Conor Dwyer. It looks like Aly and Simone just won Fashion Week!